Just a word on the Mitrovic situation. Mitro has not been given one league start all season. The one game he did start was in the League cup and scored. He mugged off Joe Hart in a Premier League game whilst scoring, elbowed someone and seemed shunned for it. His (basically) replacement Joselu has been nothing short of terrible in front of goal this season. He had a 7 game spell where he started each game but scored in none of them. Yet Mitro was not brought in to end this nonsense. Joselu has only 4 goals to his name in 20 appearances. One of those goals was the ridiculous ricochet against Liverpool and two were open goals. Mitro was only two goals behind despite no starts and a handful of appearances which were mainly 10 to 20-minute spell at the end of games. 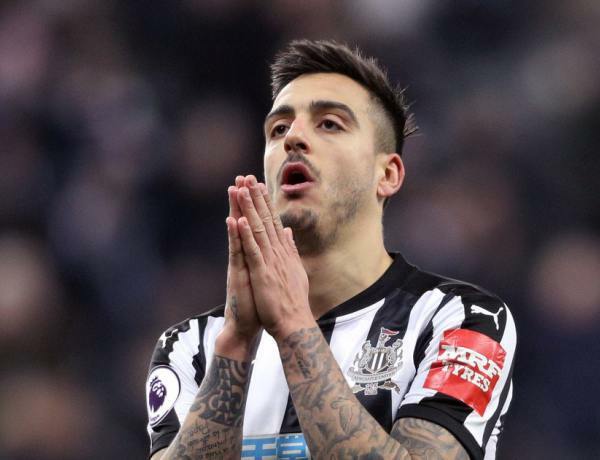 Whereas Joselu hasn’t started any of Newcastle’s last four games or had many minutes off the bench since ironically the 31st January, deadline day, where he missed a penalty and missed a massive chance against Burnley to seal all three points. We ended up dropping two points that day. 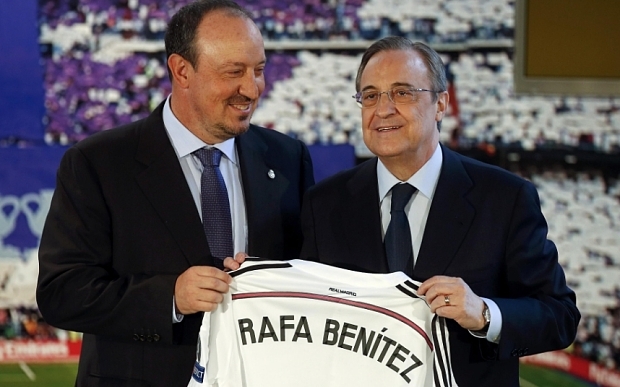 Rafa Benitez may be a lot of things. He may have a lot of trophies. 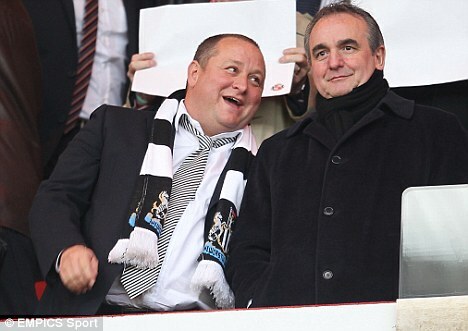 But if Newcastle Utd are relegated this season by a point or two, than Rafa Benitez will be 100% responsible. 100%. I want to make it this perfectly clear so everyone understands this. It won’t be Ashley’s fault. It won’t be Lee Charnley. It won’t be Amanda Staveley. It will be Rafa’s. Ashley gave Rafa a shorthand this season, no doubt about it. Rafa moaned every week at the lack of quality to choose from and rightly so. However, he has refused to select arguably our best all-round striker for the entire campaign, who no doubt would have scored and created more goals than Joselu and would have put more points on the board to have kept this club up. when you look at the young Serbian tearing up the Championship and dragging his country to the World Cup. Rafa Benitez hasn’t properly explained his decision as to why he has made our clubs job a whole lot harder in trying to stay in this league. Quotes of ‘not working hard enough in training’ or ‘he doesn’t fit tactically’ are weak explanations to say the least. supposed extra ability to run more in training and tactical efficiency. Plus speaking of tactics, I could go on about how Rafa’s over cautious approach in home games has also cost us this season but that’s for another day. If we go down. 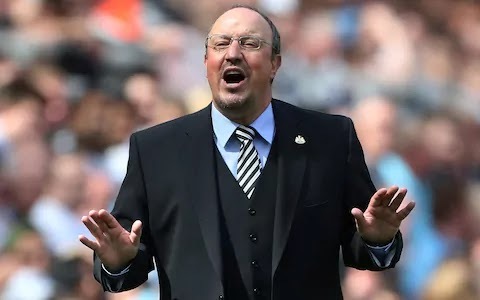 Rafa will walk off into the sunset to a top job and restart a project for himself somewhere else, whereas it will be the Newcastle fans who are left to pick up and deal with the unimaginable sh**house he left behind. Explaining himself isn’t even the start of it. Mitro’s on fire and Newcastle don’t have a pot to p**s in. Work that one out. And people say beggars can’t be choosers. 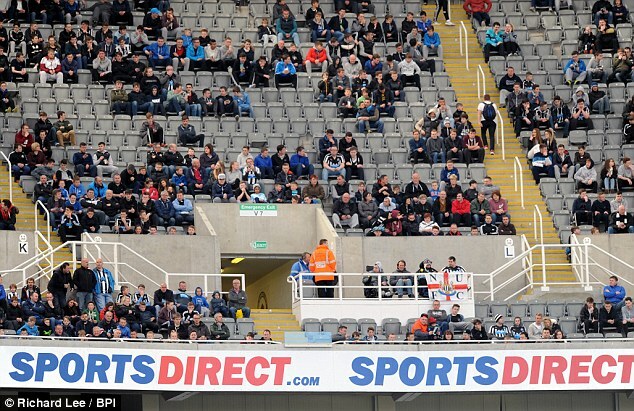 My thoughts on Sunday’s game are similar ones to those I have had over the past year watching Rafa Benitez’s team. We lack depth, we lack width and we lack movement off the ball whilst in possession. Pretty much the absolute basics of attacking play. Rafa may (rightfully) moan about missing out on specific transfer targets earlier in the window but this does not explain his needlessly negative strategy, line-ups and substitutions. Before I go off on a possible rant I would like to make one thing perfectly clear, we are not a bad team. Don’t buy into the mainstream football media’s avalanche of misery they insist on piling onto our club whenever things don’t seem 100% right from the outside looking in. We were not outplayed by Huddersfield, much like we weren’t outplayed by Spurs last week when 11v11, and apart from their goal, the newly-promoted side hardly made a dent in terms of hurting our back line. Out of both sides, it was us that had the biggest chance of the game when Ayoze Perez blasted over when completely unmarked from about 8 yards out. Substitutes Joselu & Murphy had opportunities to have a clear shot on goal but failed to make the most of them. Out of both goalkeepers, it was Huddersfield’s Jossl that had to pull off a fingertip save to keep out Ritchie’s effort in the first half. If that chance, or any of these chances, go in then it’s a different game and likely different result. Now that the positives are out of the way, yes, they were positives honest, there is a big elephant in everyone’s room on Tyneside that nobody wants or is prepared to talk about. Some refuse to even acknowledge its very existence under any circumstances mainly due to bigger worries and concerns. However, at some stage, this has to be discussed and looked at. At some point, we need to talk about Rafa. 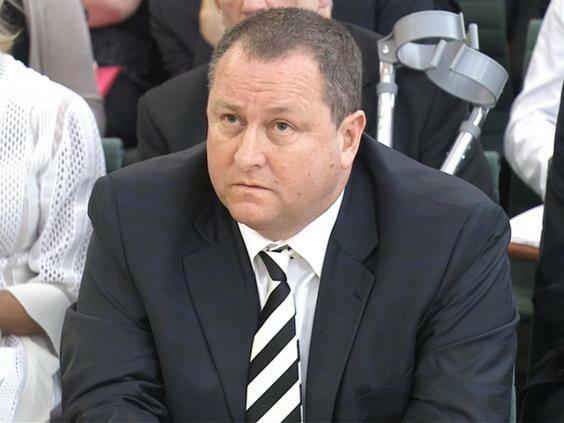 Amongst all the lack of transfers stuff & the Mike Ashley stuff and whatever other stuff fans want to talk or moan about, there has been one massively concerning issue that has been staring us all in the face over the past year. 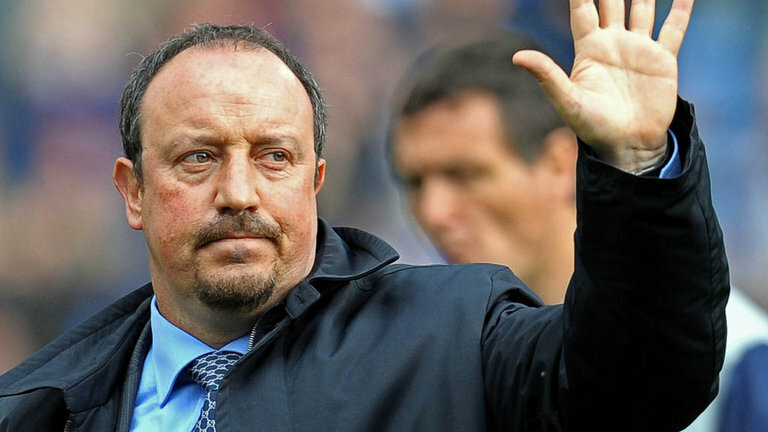 Rafa Benitez’s overly cautious and needlessly negative approach to our games. More specifically his tactics and use of the personnel he has at his disposal. Do we lack some quality? Yes. Do we have any quality? Yes. Is that quality being used in its capacity? No. How we managed to win the Championship was quite remarkable to be perfectly honest. You can count on one hand the amount of games where we actually looked impressive and destroyed teams that were below our level. No one can say our Championship season wasn’t one hell of a long struggle. Some say, ‘well that’s the Championship’, maybe. The more accurate thing to say, however, is that we caused our own frustrations by not going about our business on the pitch anywhere near as positively and ambitiously as we should have. Wingers dropping deep and always coming short. Full-backs chained to the halfway line and unable to get forward. Both centre midfielders dropping deep right in front of our centre-backs. It’s needless and it’s wrong. Against Huddersfield, these demons in Rafa’s philosophy raised their ugly head once again. 99% will put this down to ‘lack of quality’ or ‘they need more players’. I am telling you now, even with new and/or better players that won’t dispel the demons. The football club needs to change its philosophy when it comes to being cheap in the transfer market. But Rafa also needs to change his philosophy with the players he has. Neither are good enough at the moment.